Retirement might not be coming your way for quite some time, but if you haven’t started planning for it yet, it’s possible that you’re already a bit behind. As the outlook on retirement looks dimmer and dimmer for our generation, the need to contribute early and often to a retirement savings fund becomes all the more important. Fortunately, there are several ways you can boost your savings now to build your funds faster and secure a more stable future for yourself in your older age. Here are six smart moves you should be making now to boost your chances of building a sufficient fund for the future. Americans are notorious for neglecting the importance of building a savings account. Nearly seven out of ten Americans have less than $1000 in a savings account. One of the best ways to make sure you’re actually putting money away instead of spending it is to automate regular contributions to your savings accounts. 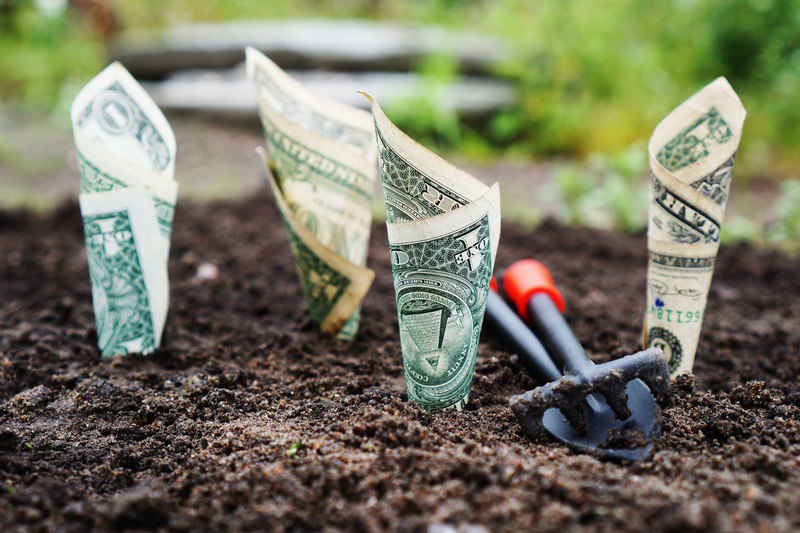 Of course, you’ll want to automate your retirement savings so that a small amount comes out each month, but you’ll want to contribute to a personal savings account as well. Set up an automatic funds transfer between your checking and your savings account. Set an amount that is large enough to build funds over time, but small enough that it doesn’t break your bank each month. For your retirement savings, check with your employer to see if the company offers an automatic payroll deduction that contributes to your 401(k). While you’re discussing your savings options with your employer, be sure to ask if the company offers 401(k) matching. Many companies will offer this to their full-time employees. In its simplest form, 401(k) matching means the company will match a percentage of your monthly contribution to your 401(k) with its own money to help you build funds more quickly. Not all employers will offer 401(k) matching, but just asking about it can be helpful in putting the idea of implementing a matching program on their radar. Before you head in to talk to your employer, it will be helpful to have a little background information on what a matching program entails. Check out this guide for a quick overview of what a typical 401(k) matching program might look like. Debt from student loans is one of the most common factors affecting the millennial generation’s ability to put money away in a retirement savings account. In fact, about 40 million Americans are currently paying off student loan debt. Although it might seem like you’re stuck with the same monthly installments for the rest of your life, you actually have an option to lower your monthly payments and free up some of your monthly income to put away into your retirement savings account. Refinancing student loan debt can help you adjust your payments to an amount that makes it easier to have enough money to save each month. The process can even help you identify ways to lower interest rates where possible. If you have any type of loan out, chances are you’ve received a letter from at least one company offering to help you refinance your debt. What you should know is that not all companies are equal in terms of their abilities to provide a trusted refinancing service. If you’re a bit new to the idea of refinancing, check out this guide to learn a little more about some of the top companies for refinancing student loan debt. The average cable bill is around $99 a month. When you add on your internet connection, this will likely be an additional $20 to $45 per month for a standard connection. Add this up, and the amount you spend each month for entertainment gets pretty high! If you have a monthly cable subscription and are constantly wondering where your money went at the end of each month, this is likely one of the major culprits contributing to your lack of funds. This is why the trend of cutting the cord on cable is growing among the millennial generation. Although most of us aren’t quite ready to cut the cord on internet, many of us are willing to nix cable and sacrifice the ability to binge watch marathons on our favorite channels to save about 100 bucks a month. You can sign up for a monthly streaming subscription like Hulu or Netflix for around $15 a month to replace cable and save big on your monthly expenses. All you need is a streaming device like Chromecast or Apple TV to stream content from your computer to your television. Cutting the cord will help you save quite a bit of money each month that will be put to better use in your retirement savings account. We all love the idea of cruising around in a beautiful new car, but what we often don’t realize is that we’re throwing a lot of money down the drain when we insist on swapping out cars every couple years or so. Experts say that when an individual is able to stick to a plan of keeping a car for at least 10 years, they purchase half as many cars in their lifetime. This means you could save a huge amount of your money and be better set for retirement if you commit to owning a car for awhile before you look into a newer option. Not to mention, after the course of a three to five year loan, you’ll have at least another five years of debt-free ownership of your car if you keep it around for at least 10 years. This means more money in your monthly budget to put toward saving for retirement. So there you have it, five smart ways you can save money now to boost your retirement savings and prepare for a comfortable lifestyle in the future. Hopefully these tips will help you establish a few healthy saving habits to build an effective retirement savings account. If you have any questions or perhaps a tip you’d like to add for other readers, comment below!